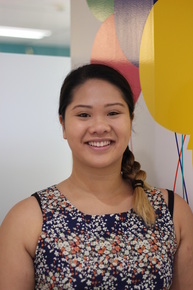 "I am currently completing my Bachelor of Science (Psychology) at UNSW with an interest in the interdisciplinary field of medicine and psychology. Volunteering at BSU was an obvious choice as it allows me to work alongside researchers who are experts in this field as well as being able to sharpen my own research skills. It has been great to meet and work alongside such amazing people in order to produce work that is beneficial to childhood cancer patients as well as their families." 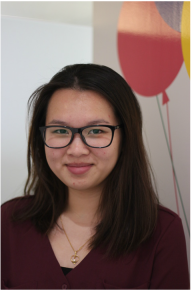 "I am currently in my third year of a Bachelor of Psychology degree and have a specific interest in paediatric psychology, so volunteering for the BSU presents an invaluable opportunity to learn and develop my research skills in a multidisciplinary clinical setting. In my short time here thus far, I have already been humbled by the impactful work the institute does and the kindness and compassion of all staff members. 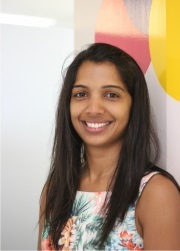 It is an inspiring, welcoming environment and I can’t wait to further my knowledge and contribute in some small way to improving the lives of children and families facing paediatric cancer." "Volunteering with the Behavioural Sciences Unit has been both an educational and rewarding experience. Everyone in the team has been very welcoming, and it is inspiring to see their passion and dedication for research that strives to understand and help children and their families deal with the challenges of paediatric cancer. I have learned a lot during my time at the BSU, from developing new and expanding my current research skills to gaining valuable knowledge about a research area that I am strongly interested in. More importantly, knowing that I can contribute to research that can make a positive difference to lives- big or small- makes this a priceless and worthwhile experience for me. I am grateful for all the support and opportunities I have received while working at the BSU and this experience is something that I will carry with me for the rest of my career." 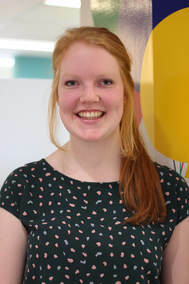 ​"I started volunteering at the BSU last year towards the end of my honours year in psychology. Volunteering at the BSU has provided me with the opportunity to use the skills developed throughout my psychology studies and gain practical experience in a research setting with clinical implications. Through assisting with the BSU's research, I have already learned so much about the psychosocial impacts of childhood cancer on both children and their families and the interventions being developed to address them." "I completed a Master’s degree in psychology from the University of Louvain-La-Neuve, Belgium in 2013. In Belgium, I worked for three years as a psychologist in a hospital specialising in oncology. I have worked as a clinical and research psychologist in the team of Prof. D. Razavi. I am volunteering at the BSU and will be working mainly on the Cascade and Recapture Life studies." 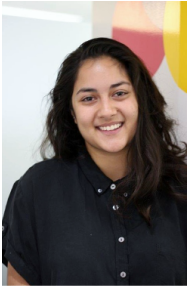 "I joined BSU as a volunteer at the end of my second year in Psychology at UNSW. BSU has offered me the opportunity to work alongside researchers who are not only the leaders in their field of psycho-oncology, but working on practical implementations that can benefit young cancer survivors. This intervention component is something I cannot find in my university curriculum, and the work I am able to do is rewarding and has provided me with a new insight into psychology and oncology." 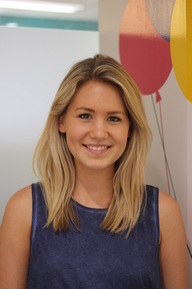 "I have loved the first-hand experience in working with a large scale research project, especially with a supportive and encouraging team like the Behavioural Sciences Unit. An added and humbling bonus has been the opportunity to meet the parents and children who are part of this research. This research has definitely been a refreshing perspective into the long term health management of cancer patients and as a medical student wanting a bit more experience in the field of oncology, paediatrics and psychology, I would no doubt recommend volunteering for the Behavioural Sciences Unit." "I was in my third year of studying a Bachelor of Science (majoring in mathematics and statistics) when I began volunteering for the Behavioural Sciences Unit (BSU). Getting involved with the BSU gave me an opportunity to put my statistics knowledge to good use and contribute to helping children and families affected by cancer. Volunteering at the BSU was a great experience. I learnt how to work within a research team, communicate effectively, and gain an understanding of the many roles and tasks involved in conducting a research project. 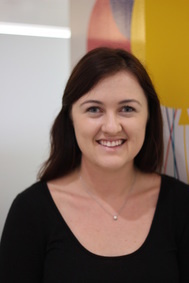 I now work as a Research Officer and Statistician at the BSU whilst completing my Honours in Psychology"
"I currently volunteer in the Behavioural Sciences Unit one day each week while I undertake Honours in my Bachelor of Psychology at the University of New South Wales. I started volunteering to gain research experience in a clinical setting. It has been interesting to learn all the steps involved in planning and carrying out a research project and has been highly rewarding to know I am contributing towards helping children and families affected by cancer. The team at BSU are lovely to work with and I would definitely recommend volunteering to others." "I began volunteering for the BSU as a third year psychology student in search of clinical and research experience. My experience volunteering at the BSU has been rewarding as I am able to contribute to research that improves the well being of childhood cancer patients and their families. I have improved my own research skills, and gained an appreciation of the effort which goes into conducting a large scale research project. The team at the BSU has been warm and welcoming, and my mentor has provided ongoing guidance and support. I cannot say a bad thing about my experience at the BSU!" 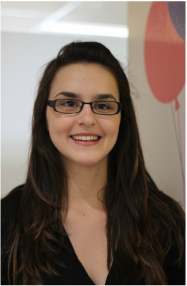 "I began volunteering at the Behavioural Sciences Unit (BSU) at the end of my Honours year. The BSU gave me the opportunity to gain important practical experience that I would not have been able otherwise gain at university. During my time as a volunteer, I gained new insights into the process of research and how psychological research translates into clinical practice. I learnt how to be a part of a research team and I was able to see how research projects develop in a real world setting. Working at the BSU was a truly fantastic experience. I now work at the BSU as a full-time Research Officer where I am responsible for projects that I initially worked on as a volunteer – so my time here has really come full circle!" 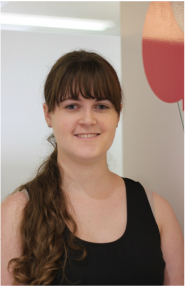 "I began volunteering at the Behavioural Sciences Unit in 2015 while completing honours in psychology. I volunteered to gain experience in a clinical research setting and greatly enjoyed my time at the unit. The team at the BSU were so welcoming and provided me with an excellent opportunity to gain a greater understanding of the tasks involved in conducting clinical research. Overall, it was an extremely rewarding experience, and fantastic to be involved in research to help improve the lives of young people who have been affected by cancer." "Volunteering at the BSU has been a great experience so far. Just knowing that I am assisting in the efforts to understand and improve support and care for adolescents and young adults post-cancer treatment makes me feel like I'm making some sort of difference, no matter how small or big it may be. And not to mention, every one of the staff members are so lovely, welcoming and helpful; it's a lovely environment to work in!" "I was beginning my Master in Criminal Justice and Criminology when I first started volunteering at the BSU. I had completed an undergraduate degree in Psychological Science earlier and I was eager to gain practicable experience in the field. The team at the BSU are so welcoming and approachable, I never felt like I had any stupid questions that wouldn’t be answered. Help was always just a question away. I have learnt so much during my time at the BSU, they have helped me strengthen and develop my research skills which I am continuing to utilise in my new workplace. Volunteering at the BSU has been one of the highlights of my professional career, the team that works there is a group of amazing individuals who are striving to make changes in the world – I am just happy that for a short period of time, I was able to work alongside them and put what little I did to contribute to that change." "I am currently studying a Bachelor of Psychology at the University of Sydney. I have also previously studied a Bachelor of Music Performance at the Conservatorium in classical flute. Volunteering at the BSU has given me a unique insight into the field of psychology research. I love coming in each week to a room full of friendly and inspiring people, who are researching for such a great cause. It is amazing that I can be some kind of help to this wonderful research, no matter how small my contribution feels in the grand scheme of things! It is so rewarding to know that children with cancer and their families will benefit from the findings of the work I am contributing to. I would highly recommend becoming a volunteer! I have already learned so much from the wonderful staff members at the BSU, and am honored to be able to help in some capacity toward their work. It is a very rewarding position! I am also continuing to acquire many skills which greatly benefit my studies at university, and will equip me for the rest of my career as a psychologist.​"